What is Jeff Koon's influential vacuum cleaner series The New all about? Where & how did he show this work? 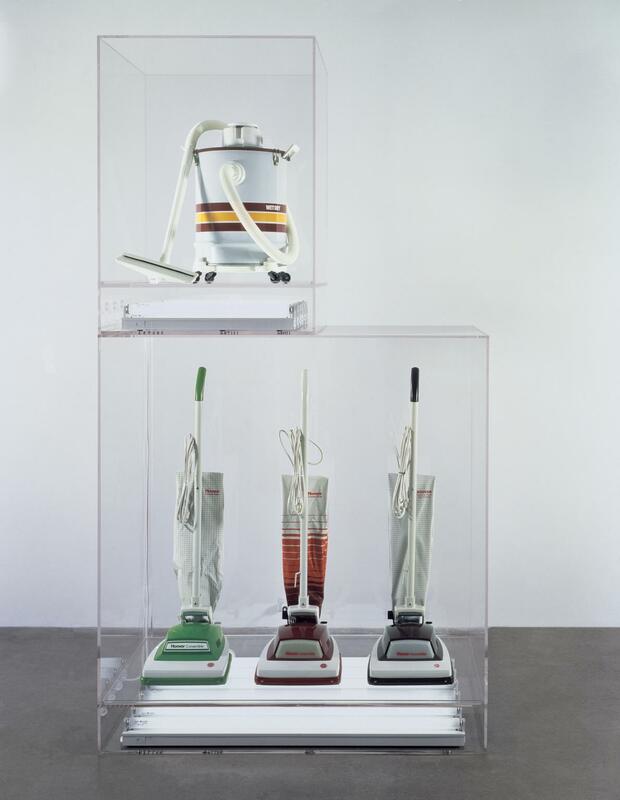 Jeff Koons is a quintessential neo-pop artist. It is not surprising, therefore, to find artworks made by this legendary contemporary artist fashioned from random trinkets that you would find at a neighborhood yard sale. The components used to create his pieces may not be considered fine art or sophisticated by any means. 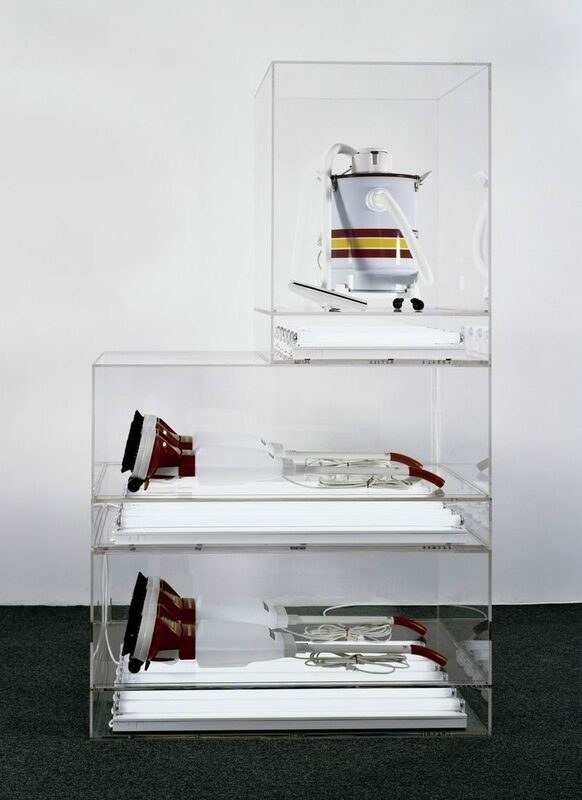 However, the end result is an ingenious transformation that has caused immense commercial success for Koons. His artwork is definitely a fine hybrid of fine art and popular culture. 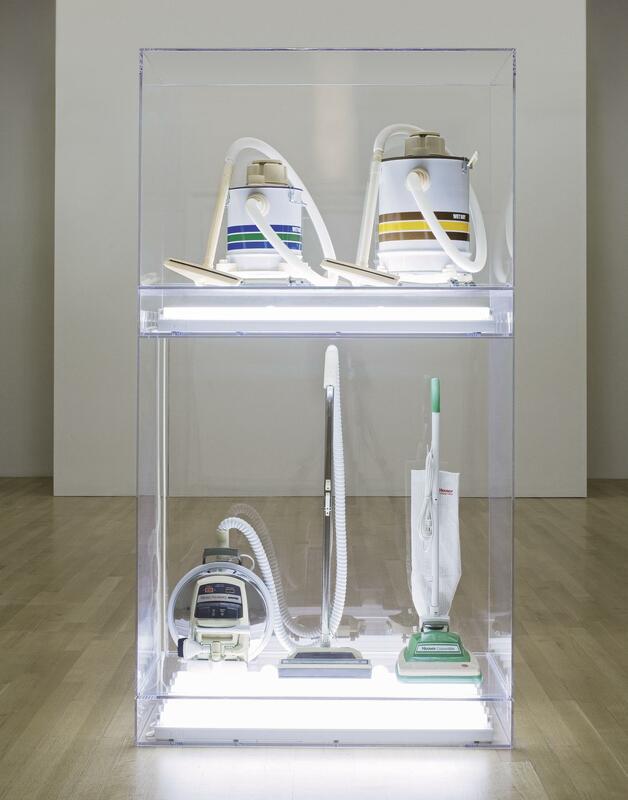 Anyone that analyses his pieces such as Koon’s The New, will see that his work speaks volumes about the contemporary society that we live in today. Between the years of 1979 and 1980, Jeff Koon primarily worked on The New series. 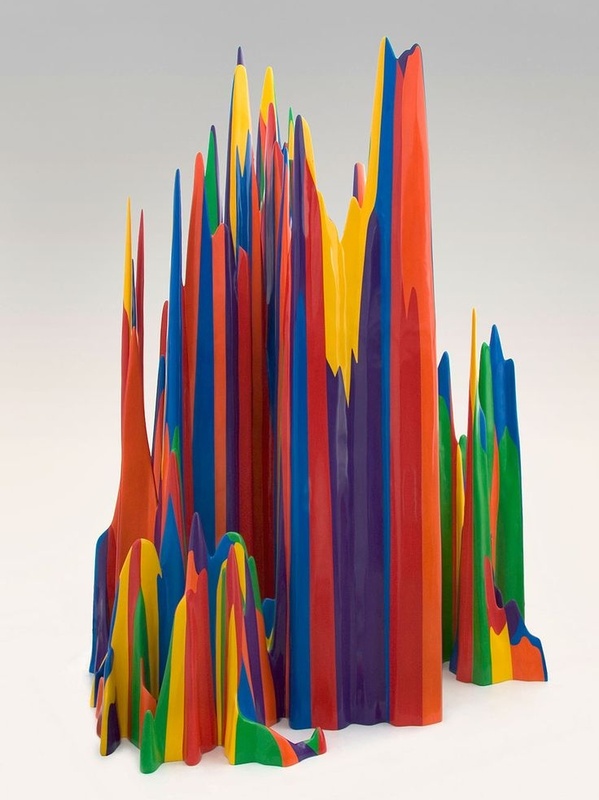 His works at the beginning were based on conceptual structures. 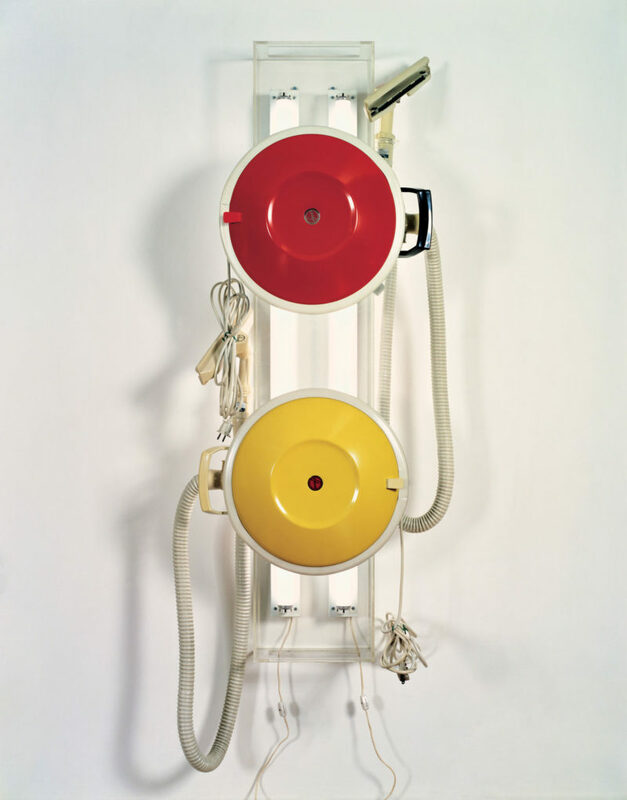 The New was created in 1980 after completing his first conceptual sculpture series which he titled Pre-New. 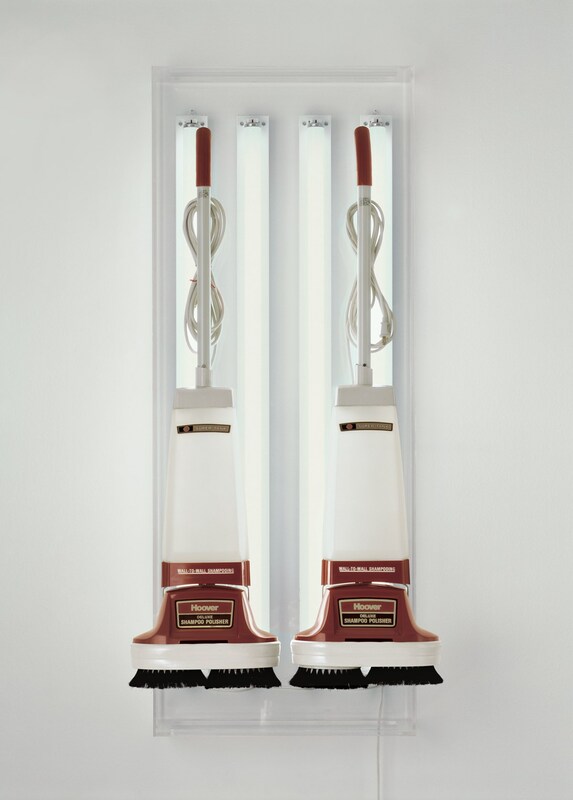 The New featured a series of vacuum cleaners from popular brand names that appealed to Koons. 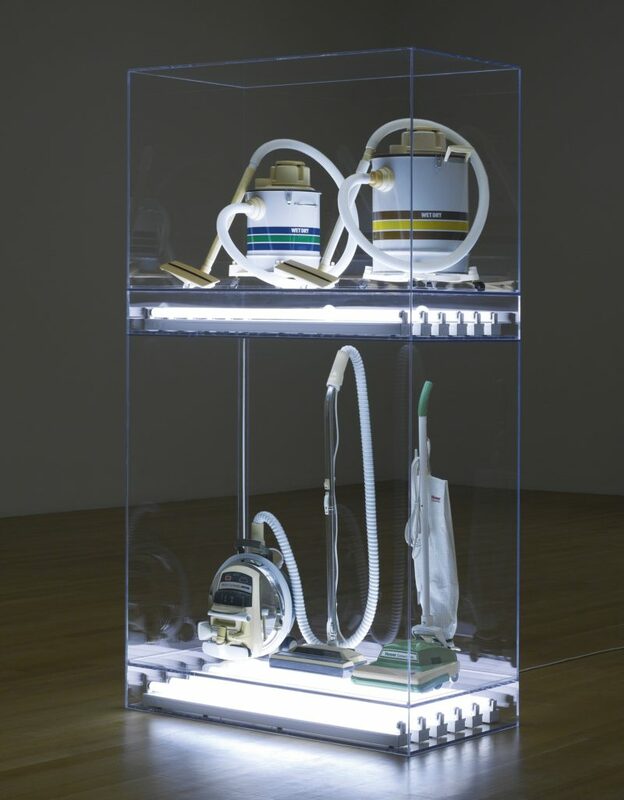 In the New, Koon stacked two unused vacuum cleaners on top of each other and sealed them hermetically in a well-lit Plexiglas box. 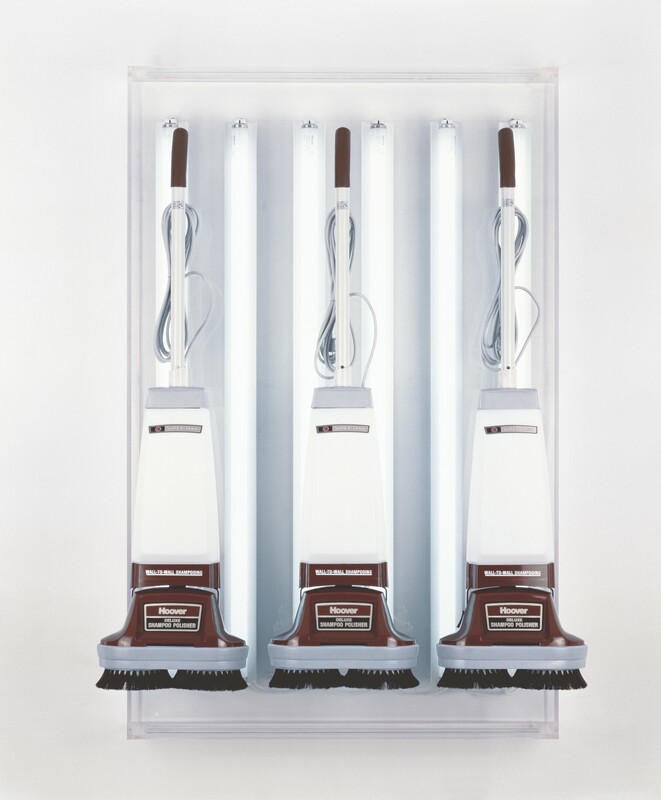 The lighting of the fluorescent bulbs in the display window is what caused the art installation to appear like a typical display that you would find in an appliance store rather than a high-end piece of art that you would expect to find in a gallery. 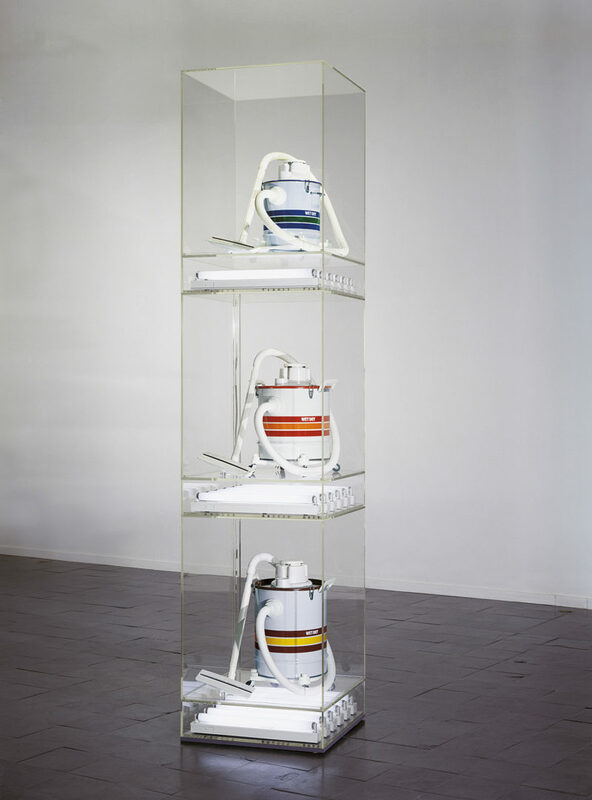 Koons first exhibited The New at the New Museum in New York in 1980. He opted to use only a limited combination of different vacuums. 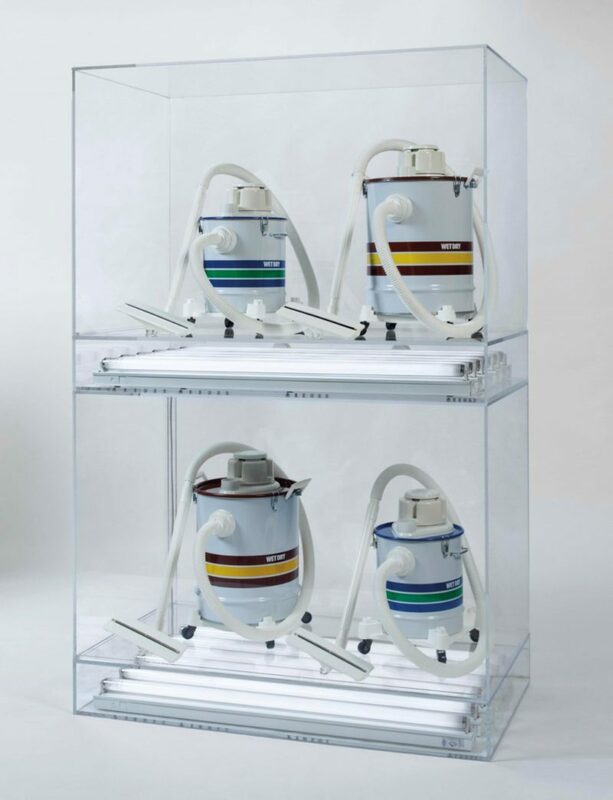 At the gallery space, Koons had arranged the vacuums vertically and displayed them as if they were in a showroom, with just the simple words the New brandished across the display. 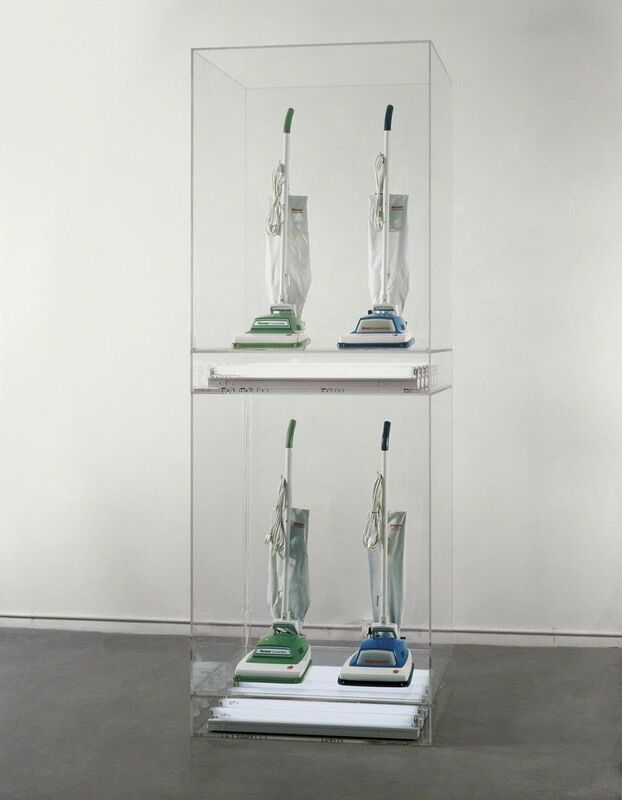 With this work, Koon’s use of the vacuum cleaner has a considerable significance. 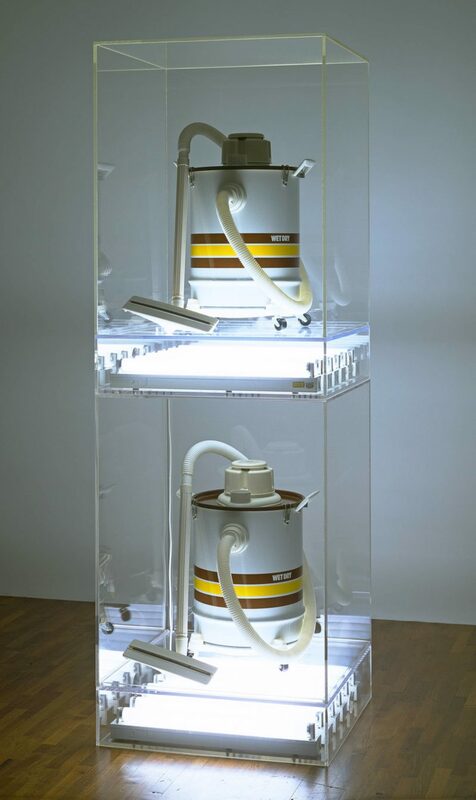 Through this series, he explores society’s commercialization of new appliances and commodities. Basically, he was mocking society for its fascination with new things. He was also commenting on the relationship between human beings and their commodities and how these commodities impact human behavior, their thoughts, and their sexuality. Born in Pennsylvania, Jeff Koons was heavily inspired by the works of Salvador Dali at a young age. But it wasn’t until he encountered the pop art movement and Andy Warhol’s work that his artistic direction begun to take on a neo-pop approach. 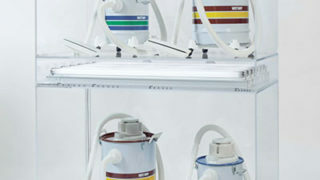 Regarded as both a technologist and an artist in the same breadth, Koon is credited with coming up with unique fabrication techniques that have inspired other artists all over the globe. All images by Jeff Koons/jeffkoons.com unless otherwise noted. 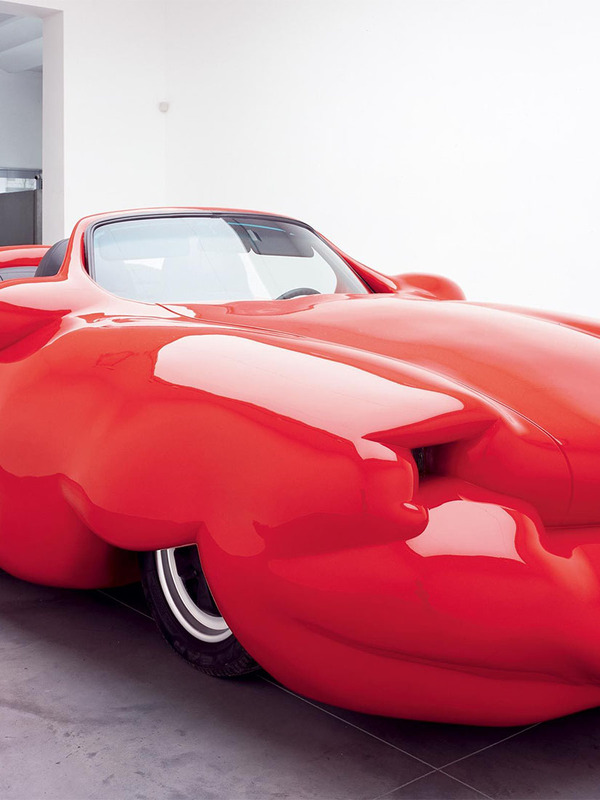 Would you pay $58m for Jeff Koon’s shiny balloon dog? 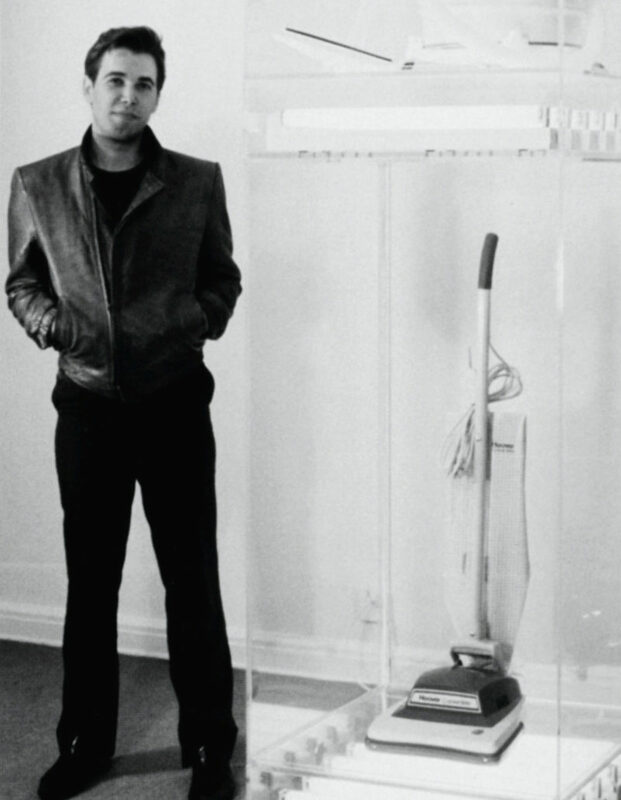 Michael Jackson and Bubbles, 1988 is a larger-than-life banal sculpture has over the years been one of the most controversial works ever created by Jeff Koons. 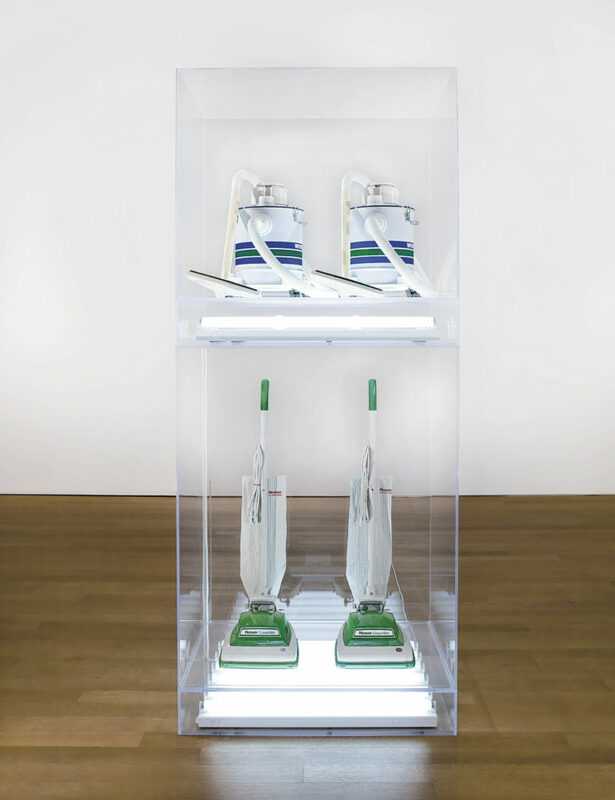 Home > Sculpture > What is Jeff Koon’s influential vacuum series The New all about? 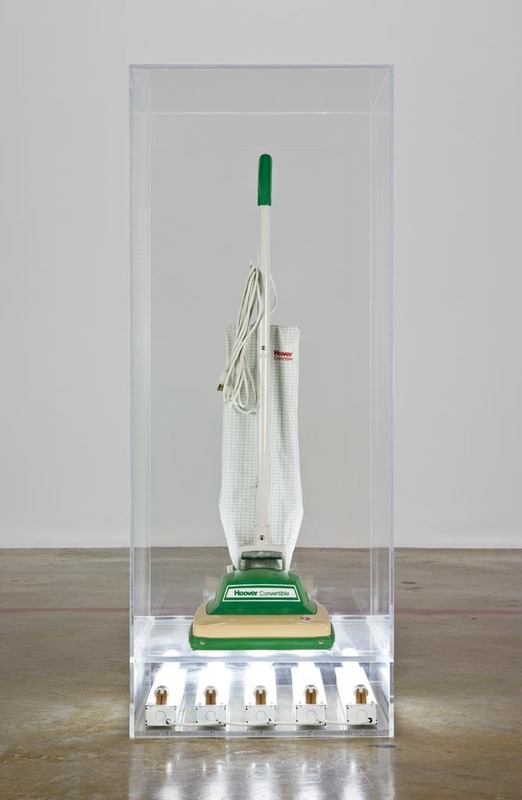 Posted on April 12, 2019	in the category Sculpture and tagged Jeff Koons.